Millennials – one of the largest demographic groupings in human history – are moving into their prime spending years. This generation, defined as people born between 1980 and 2000, are already influencing the way products and services are consumed, and their influence is likely to grow. Thus, it is forcing companies to examine how they conduct business and how can they bridge the consumer generation gap. Casino operators and gaming manufacturers alike are recognising this group’s potential as something important to their bottom line: the consumers who will drive their business in the decades ahead. Millennials or ‘Generation Y’ are defined as people now in their 20s and early 30s, and typically have more disposable income than do currently the preceding youth generation. They have come to adulthood during the Internet age – a time of technological change and globalisation. That has given them a different set of behaviours and experiences than previous generations. “They [millennials] grew up in entirely different technological surroundings and thus have entirely different gaming interests,” said Darion Lowenstein, chief marketing officer at Gamblit Gaming LLC, a technology provider for online and interactive digital entertainment. Mr Lowenstein said older generations usually enjoy the facts that playing a slot machine typically doesn’t involve either skill or interaction with other people. Slot machines are “simple, easy-to-understand, with applicable licences and shiny graphics,” he stated. “However, walking through any casino today shows that there’s a huge age divide. Younger audiences want games that are similar to what they grew up with – Xbox, Playstation, mobile and PC games are the bar, but the offerings on floors haven’t really changed to keep up with the new generation,” Gamblit Gaming’s marketing chief told GGRAsia. As such, casino operators and gaming manufacturers might need to rethink their strategies if they want to attract this younger demographic group, say people in the industry. “It’s important to note that you need to attract the next generation,” Gavin Isaacs, president and chief executive of casino equipment supplier Scientific Games Corp, told GGRAsia. “We need to ensure that the core gaming product is there for the people that want to continue to do what they love – and there’s a lot of room left to grow that – whilst at the same time trying things for other people to bring them into the [casino] properties,” he said. The Nevada Gaming Commission in Las Vegas approved a fortnight ago regulation changes allowing the use of skill-based and arcade-like features on slot machines. Both legislative houses in the state of Nevada approved the bill in May. Mr Isaacs said skill-based games were not a new idea in the casino industry, and typically allow a percentage of the return to player on a slot game to be reserved for a skill element during a game feature. “Bally [Technologies Inc] had a game called Pong in 2008. The idea was if you played the game and you won a feature, you were going to get a 92 percent return [to player]. But the way the regulations [in some jurisdictions] worked at the time, up to 4 percent more could be gained from skill. So you could play a little game… against the machine, and the machine kept speeding up. And if you beat the machine you could get up to 4 percent more,” he said. Following the recent nod from the Nevada Gaming Commission, gaming testing specialist and technical consultancy Gaming Laboratories International LLC (GLI) announced it “is now accepting Nevada submissions for skill-based gaming”. “This is an exciting time, and our engineers and mathematicians are prepared for the adoption that occurred today to meet industry needs and play our role in ensuring product compliance,” GLI’s vice president of global services, Ian Hughes, said in a statement. “Nobody can fully anticipate the type of gaming products that we may see on a gaming floor in Nevada as the regulations open the door to all types of skills and hybrid games,” he added. According to the new regulations, slot machine games can now be developed and submitted for approval within Nevada that implement “physical skill, dexterity, knowledge and strategy, and awards can be paid accordingly, allowing greater flexibility in payout percentages”. Every casino operator “knows that [to engage millennials] is critical to their success,” said Mr Lowenstein. “While many casinos have successfully rebranded themselves with lavish pool parties, nightclubs that cost tens of millions of [U.S.] dollars to construct, and big name talent, they’ve yet to find ways to engage millennials in gambling outside of a small percentage of table games like blackjack,” said the marketing expert. “I think if you offer a gaming experience more like what millennials already engage in outside of casinos, they will play. Barcades, Dave & Busters, there’s proof all around,” he added, referring firstly to a chain of bars in the U.S. that offer classic arcade games and secondly to a U.S. chain of full-service restaurants each offering a video arcade. 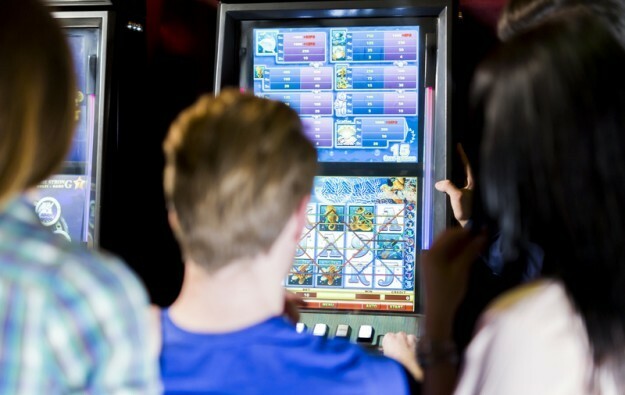 Some analysts predict that a move by the casino industry toward skill-based slot machines could re-energise the market and attract younger customers, but not for a few years. “The reality is that it is the older generation that will continue to feed the [gaming] industry in the short term,” said Steve Gallaway, partner at U.S.-based consultancy Global Market Advisors LLC. “While long-term strategies need to ensure interest from millennials, the current gamers are the ones that will continue to provide the cash flow,” Mr Gallaway told GGRAsia. Alex Bumazhny, a director and financial analyst at Fitch Ratings Inc, said in a commentary that millennials attending casinos spend more time and money on food, drink and entertainment than they do on gambling. The insight was published in May by Fitch Ratings’ website thewhyforum.com. Citing a survey conducted on behalf of the American Gaming Association, Mr Bumazhny said millennials still enjoy going to casinos “but they spend less on the casino floor (the bread-and-butter for casino operators)”. According to the same survey, the younger generation is more interested in skill-based games “such as fantasy sports and poker and is more familiar with online gaming,” said the Fitch analyst. Rethinking gaming floor design might be a way to attract younger customers, suggested a report from design and architecture consultancy YWS Design and Architecture. “Existing facilities may wish to experiment with zones, lounges and other quarantined areas that can be redesigned to better attract millennials,” said YWS. Marketing professionals agree that millennials think of leisure activities as a social experience that they share with friends. As these younger consumers move into their prime spending years, a particular group appears to be stepping into the limelight – China’s millennials. This particular type of customer is judged as increasingly important for businesses in the leisure and entertainment sector, including the casino industry. A survey of 1,000 Chinese millennials, conducted in July, identified Las Vegas as the most popular outbound destination for leisure travel, according to a separate YWS report published in August. China’s millennials – including those between 25 and 34 years old – total more than 200 million people, or about 17 percent of China’s 1.3-billion population, said YWS in its latest report, titled ‘The US$264-billion Dragon Baby: Your Next Most Important Customer – Understanding the Chinese Millennial Leisure Traveller’. The YWS report, credited to Roberto Coppola, its director of market research and consumer insights, stated that Chinese millennials would be the demographic force behind revenue growth for businesses in the leisure sector over the next few years. “Attracting Chinese millennials to a physical product, or a physical space, requires an acknowledgement that what has worked in the past will likely not work with them,” said the consultancy. Gamblit Gaming’s Mr Lowenstein agrees that China’s millennial consumer group is “a huge market to tap”. “I foresee a lot of Chinese-themed interactive arcade-style wagering games in the future,” he added. When observing the behaviour of the Chinese millennial it is important however to differentiate between the VIP millennial and the mass-market millennial, said Mr Gallaway of Global Market Advisors. “In the case of the VIP, yes, they spend much more and are a good group to cater to. However, given the current crackdown in China, this group is also spending much less,” said the gaming consultant. There has been increased interest in social gaming shown by land-based casinos and gaming manufacturers, Union Gaming Research LLC said in a note following the Global Gaming Expo (G2E) in Las Vegas last year. Analyst Robert Shore pointed out that while the social gaming industry emerged recently it has already evolved into a US$2-billion-plus sector with casino-style gaming as one of the fastest growing subsectors. Last year, the then independent casino equipment maker Bally Technologies paid US$100 million for Israel-based online social games software developer Dragonplay Ltd. That company has developed games for several online platforms. Other manufacturers have been creating online free-to-play versions of many of their successful slot games. Australia-based slot machine maker Aristocrat Leisure Ltd has made its Heart of Vegas software app – featuring 11 games found in land-based casinos – available on a multi-platform architecture, including Facebook, iOS and Android systems. Betting in favour of the online wave, other companies are developing online systems specifically for mobile gaming. Betcade, which announced its launch on September 1, describes itself as the first dedicated Android app store for real money gaming. “People overwhelmingly prefer mobile apps over the browser experience: the time spent in apps now surpasses the time spent in browsers. However, there is currently no efficient mechanism in place for discovery or distribution for real money apps the way that there is for every other app category,” David Chang, founder and chief executive of Betcade, said in a statement. Betcade’s app store will offer features and a user experience similar to Apple or Google stores, including ranking and promotions, content, and streamlined payment systems, the firm said. Companies in the casino industry can find “a fun way to innovate” as the market “already knows the type of social interactivity they [millennials] like thanks to all the social platforms on a phone,” Mr Lowenstein said. “I think interactive table games and multiplayer wagering experiences where users are competing against each other or against the house are great ways to encourage both social activity and social sharing – ‘Look at how badly I beat him at this game’,” he added.